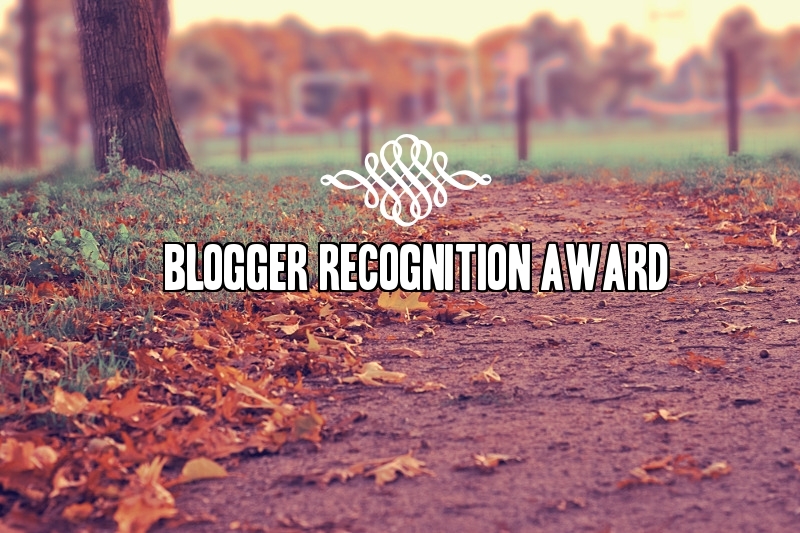 The Blogger Recognition Award – Being. Now this is gonna be the best story you have ever heard in your whole life. It’s gonna make you laugh, tear you up, dance and sing around with joy! It’s got drama,a bit of romance, lots of horror and is packed with action! So take a deep breath and brace yourself mate. I really wish my story had at least one of the afore mentioned, but unfortunately it doesn’t. The sole reason my blog took birth was my passion for writing. I’m not even a month old here, yet I’m already loving it like crazy!! I have met some amazing bunch of bloggers and I can proudly say that starting a blog was one of the best decisions I have ever made in life!! Now,if you wanna know the story in detail, you can totally read Blogging and me. Being an infant in the world of blogging, I don’t think am really apt for giving advice. But rules are rules,so here goes. The most important part of blogging is of course writing. You have to keep your readers engaged and for that you need posts in handy. And the best way to be prepared ahead is to jot down whatever comes to your mind,wherever you are,whatever you are doing. You could be traveling, reading ,watching a movie or listening to your favorite song, you could be writing a very important exam or you could even be in the washroom. But whatever may come,you have to write down your thoughts; however lame or useless it may appear. You can do this on a bit of toilet paper for all I care! (Or like me,you can use evernote or something similar). According to me,the next important part of blogging is your community. And in order to develop your community,you need to explore the wonderful blogs out there and communicate with them. You have to appreciate every beautiful post you come across. And every time someone cares enough to comment on your work,no matter what,you have to make sure to let them know how much it matters to you. Thanks for thinking of me! I think that’s some pretty good advice even if you just started! I feel like I just started too so I understand it’s hard to put yourself in that position. Thank you so much for nominating me! This was a great post. I especially liked your two pieces of advice. I’m doing a post like this soon and I’ll be sure to nominate both you and piezo Radeon as well as thirteen other awesome bloggers! Thank you so much for nominating me. It takes a lot to put a blog together and keeping it going. I haven’t gotten the chance yet to visit your blog but will soon. Been so busy. Great advice! I was nominated for the Blogger Recognition Award by a wonderful blogger named, Reethu. This is my first award. She share a great passion for writing as most of us. Starting a blog and keeping it going is a lot of hard, hard, and very hard work. But, you have to work at it; network with others, take courses like the ones WordPress have here. You do everything it takes. After you leave here, don’t forget to visit Reethu’s blog and show some love. Congratulations! Thankyou for visiting UltimateSolace. I am glad you did! Pingback: The Blogger Recognition Award. – ROYALTTIE. Thank you, than you so much ..
And congratulations to you.. You deserved it..
Congratulations on your blogging award nomination and on fulfilling the requirements of the award by publishing this post…!